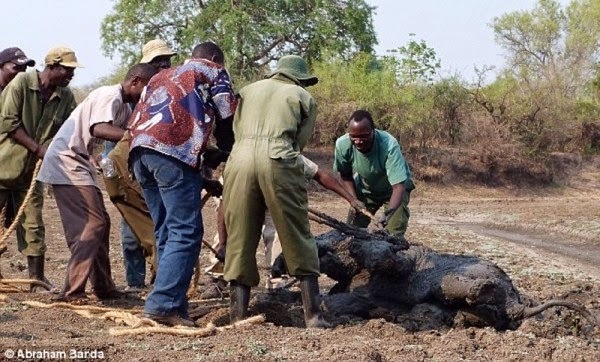 Conservation workers don’t normally intervene when nature takes hold of the animals who reside there. 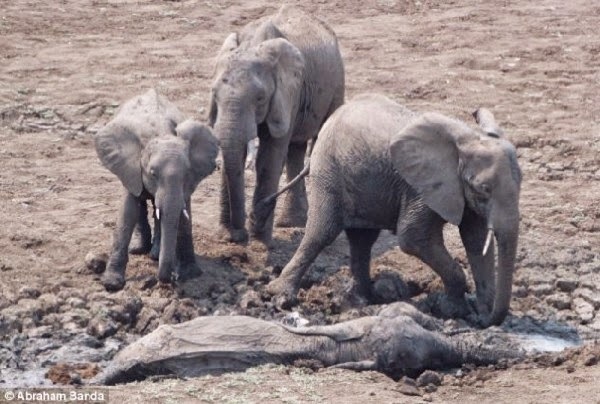 But on this particular day, they just could not sit by and watch a mother elephant die with her baby. 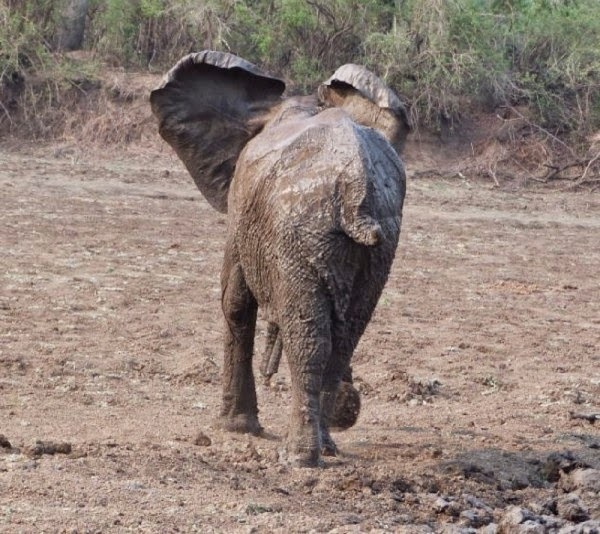 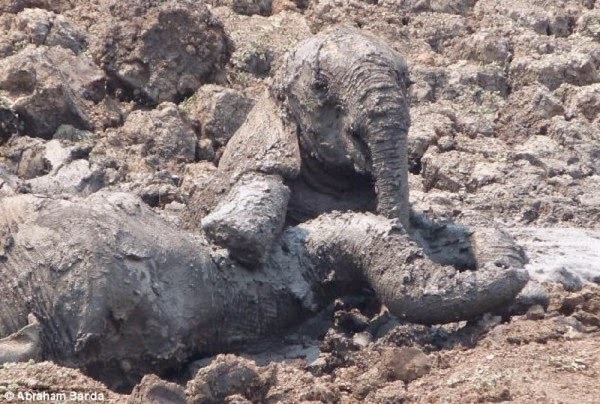 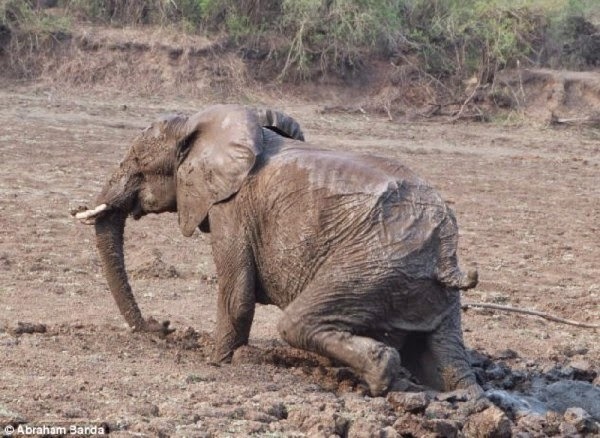 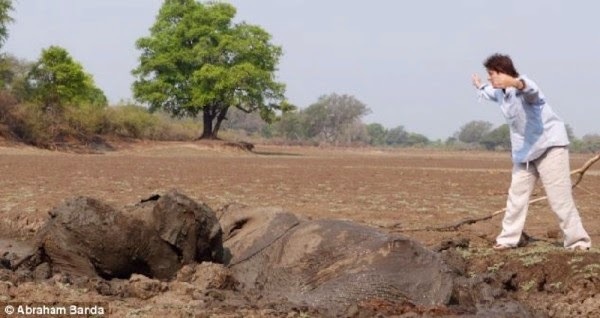 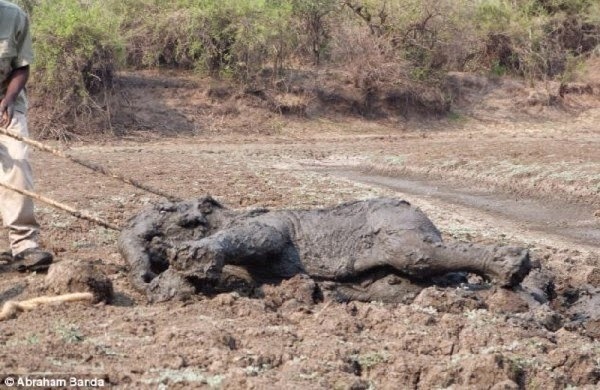 A baby African elephant became stuck in a deep mud lagoon in Zambia. 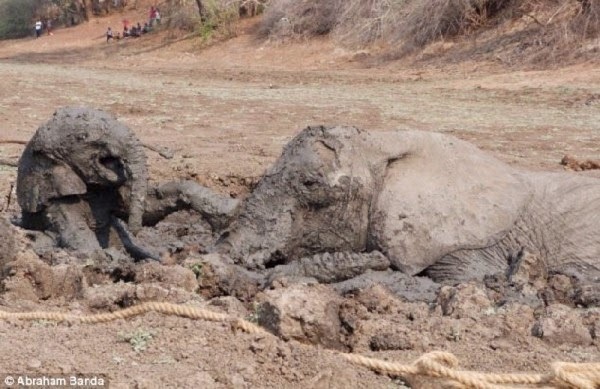 When the calf’s mother saw her fall and struggle, she attempted to rescue her — but she also sank in and got stuck. 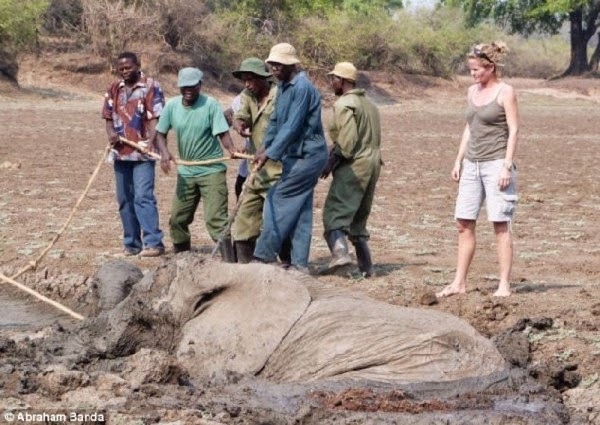 The deeper they sank, the higher their likelihood of death became. 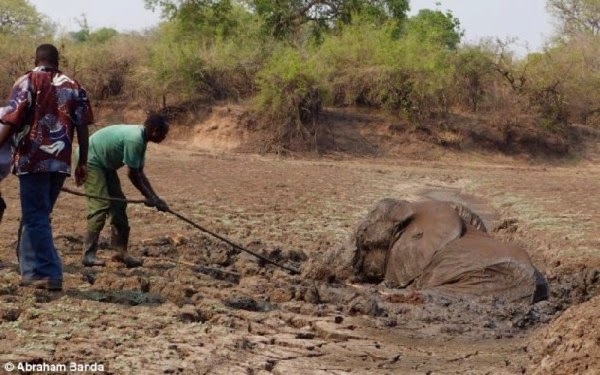 By the grace of God, wildlife officials and conservationists saw the pair and snapped into action. 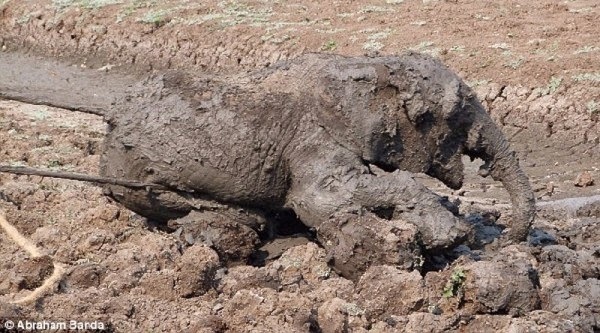 For two whole hours, they battled against the heat as the mud began to dry. 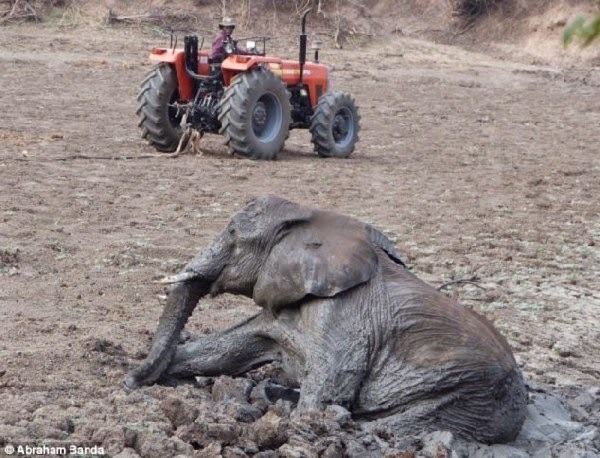 As soon as they made progress and began pulling the calf to safety, the baby ran back into the mud to be with her mother. 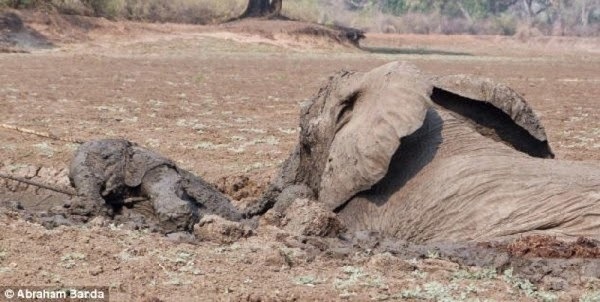 It’s incredible to see how she risked her own life to stay by her mom’s side. 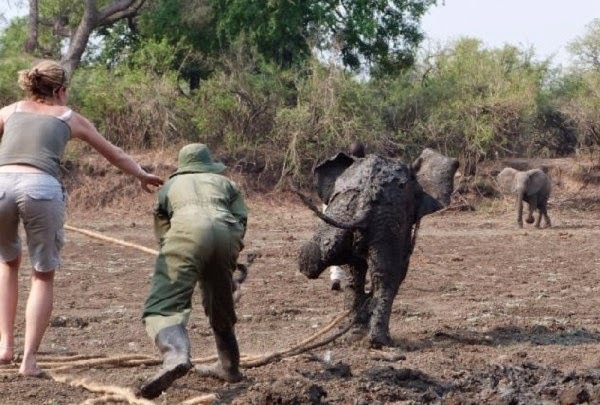 After yet another two attempts, tireless effort, and tons of strength, the heroes were finally able to pull Mom out of the mud. 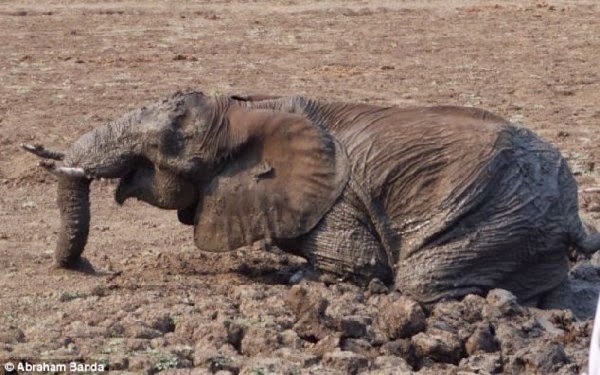 Exhausted but grateful, she ran back to her herd and baby. 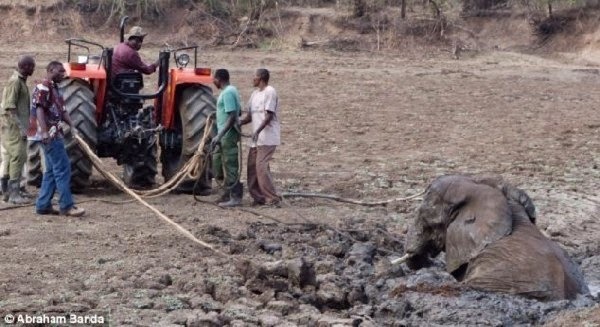 Please SHARE this incredible rescue tale with all of your friends!